The year is finally over. The games have all come out, and boy did we play them. 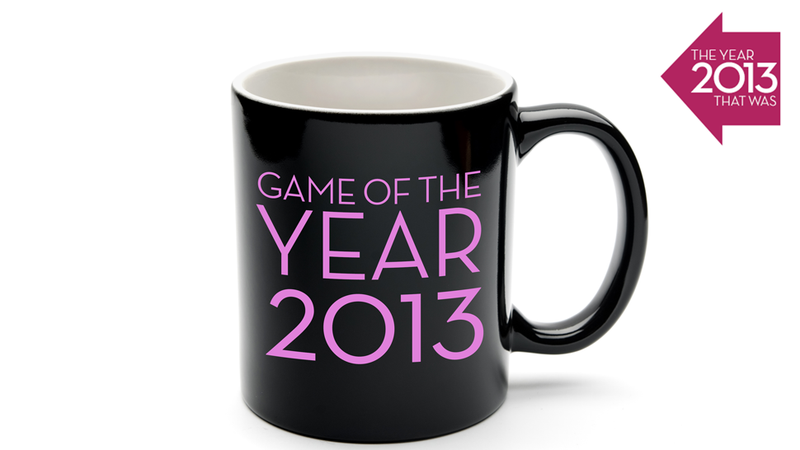 Now, it's time to decide which one wins the honor of being named Kotaku's Game of the Year. Here's how we're going to do GOTY stuff in this, the year of 2013. The GOTY conversation will be split into two parts. First, a collection of our nominees, which is the post you're reading right now. On December 30, we'll announce our official Game of the Year pick. Between now and then, we'll leave the nominations open. A lot of our writers have nominations to make and games to argue for. Before the 30th, each regular Kotaku writer will read the arguments below this post, check out the games they haven't played and make a vote. Whichever game gets the most votes win. Readers are welcome to participate in the nomination process. If you'd like to nominate a game that hasn't yet been nominated yet below, please do so! Nothing would make us happier than a reader making a case for their favorite game so convincingly that it gets members of our staff to vote for it. If you're going to make your own nomination, please first make sure there isn't already a nomination post for the game—if there is, just add your thoughts below. Duplicate posts won't be the end of the world, but it'd be good to keep the nominations as tight as possible. Once you've decided to write, please use the following template. It's important to follow the template closely, as it'll make it easy for us to pull your comment out and possibly run it on the front page of Kotaku. Why [game name] should be game of the year: Write your argument. Keep your first paragraph short and to the point. Platform(s): List the various ways people can play the game. Update 12/26: Nominations are now closed. To vote for the Reader's Choice award, head over here.